There’s no question about it. A new epoch—the Anthropocene—has begun. So says an international group of geoscientists, in a paper published Friday in the journal Science. They point to waste disposal, fossil fuel combustion, increased fertilizer use, the testing and dropping of nuclear weapons, deforestation, and more as evidence that human activity has pushed the Earth into the new age that takes its name from the Greek anthropos, or human being. Some argue the new era began in the 1950s, the decade that marks the beginning of the so-called “Great Acceleration,” when human population and its consumption patterns suddenly speeded up, and nuclear weapons tests dispersed radioactive elements across the globe. Formalizing the Anthropocene era—a designation that must come officially from a separate body known as the International Commission on Stratigraphy—they write, “expresses the extent to which humanity is driving rapid and widespread changes to the Earth system that will variously persist and potentially intensify into the future.” The scientists are likely to present their findings to the Commission later this year. Greenhouse gas levels. As has beenreported extensively, and the geoscientists point out, atmospheric concentrations of greenhouse gases like carbon dioxide and methane are higher than they’ve ever been. “Depending on the trajectory of future anthropogenic forcing, these trends may reach or exceed the envelope of Quaternary interglacial conditions,” the study authors write—in other words, conditions could become more extreme than in previous ice ages. Still, as damning as this evidence is, observers have cautioned against a simplistic view of geologic shifts. 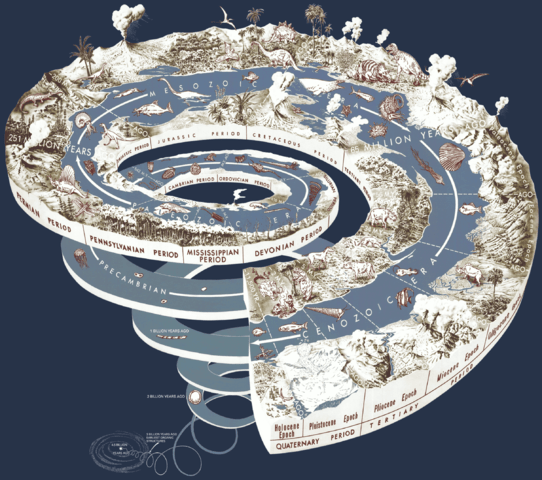 “Anthropocene is…suspect because—to the extent that ‘we’ wish to name the new epoch after a force, it generically identifies that force as humanity as a whole, rather than the identifiable power structures most responsible for the geological Anthropocene traces,” wrote Kieran Suckling, founding director of the Center for Biological Diversity, in 2015. Originally written for Common Dreams.